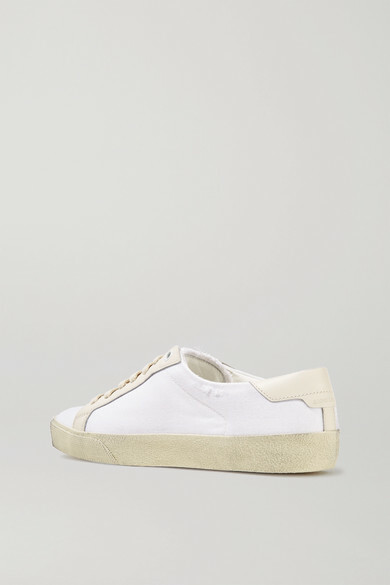 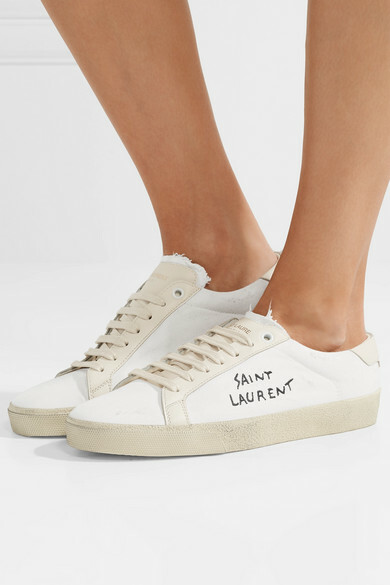 Saint Laurent's off-white cotton-canvas 'Court Classic' sneakers are scuffed and distressed so they have the perfect worn-in look. 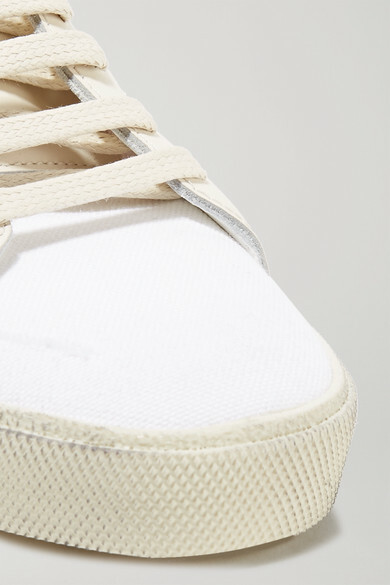 They're trimmed with tonal leather for structure and embroidered in black with the house name - we love how the letters have a hand-written quality. 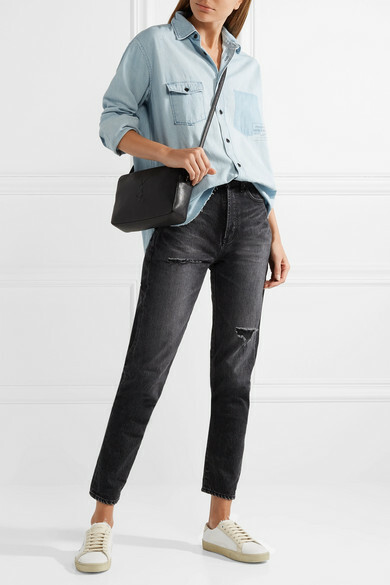 Shown here with: Saint Laurent Shirt, Saint Laurent Jeans, Saint Laurent Shoulder bag.